A special greeting out to our American cousins south of us who are celebrating Thanksgiving! We wish a happy time with family and safe travels to and from. It is also a time stateside where a lot of folks are looking to Black Friday / Cyber Monday deals - happy hunting to you and may the odds forever be in your favor. 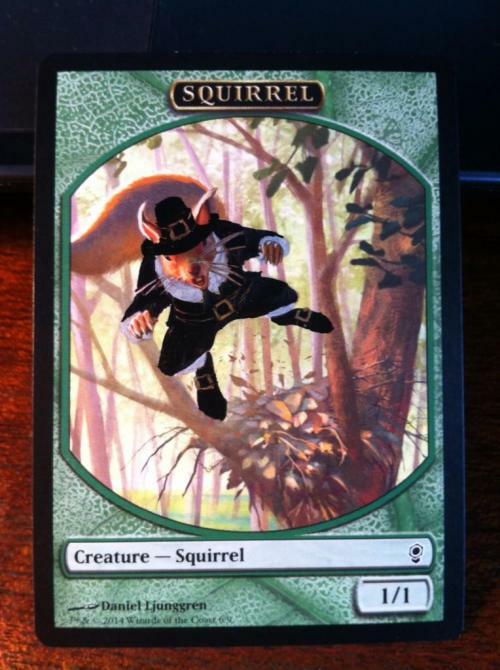 We'll be looking to see if MTG Mint Card has anything on special come this Monday. 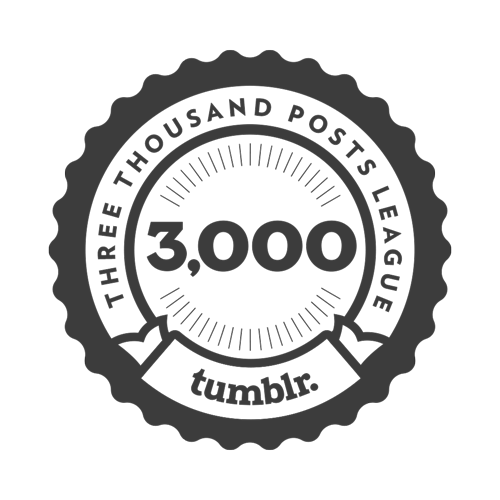 3,000 posts! - w00t ! Please do not take this as a slight against my (almost non-existent) social life. 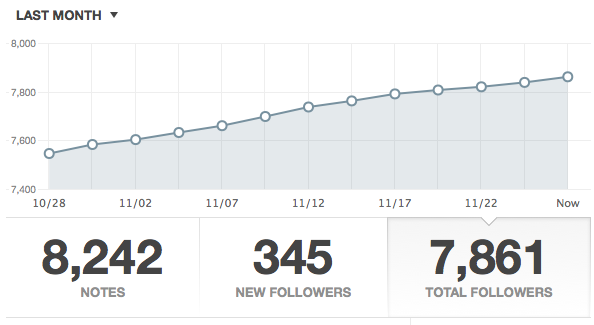 I do actually effect a large volume of IRL events. 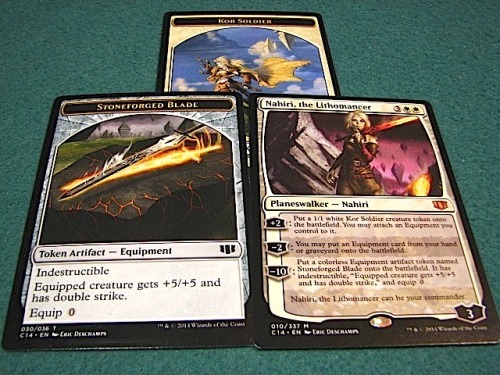 Project over the Christmas Holidays - work on a Commander decklist using Nahiri, the Lithomancer, Stoneforge Mystic and a selection of creatures ‘n’ equipment. 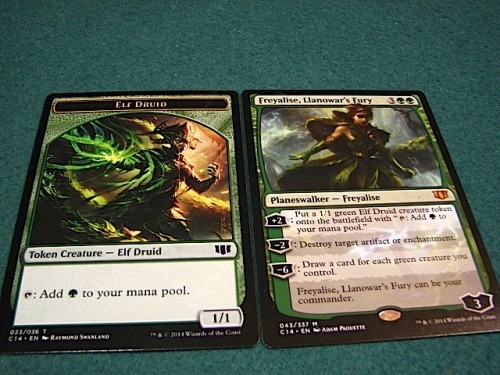 Another project with the group over the Christmas Holidays - Develop a Commander decklist featuring Freyalise, Llanowar’s Fury. 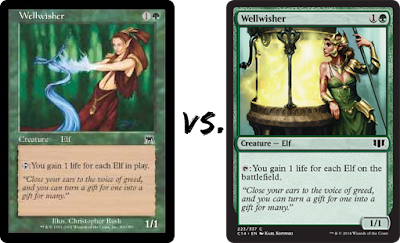 There’s almost 300 different Elf cards and similar number of rather decent support spells to choose from. Eladamri, Lord of Leaves, Rofellos Llanowar Emissary, Priest of Titania, Elvish Champion, and so many more. I’m just here for the incredibly shiny eye-candy. 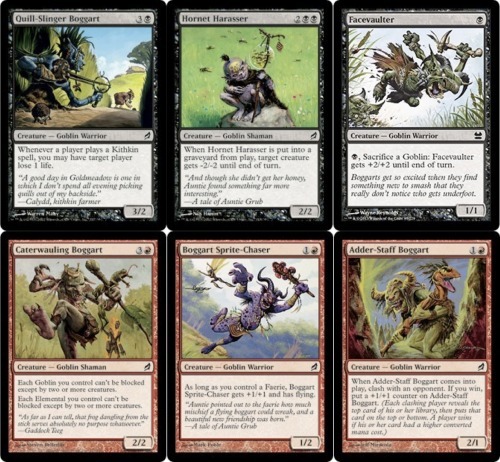 We started playing MTG shortly after Lorwyn was released and one of our fav ‘tribes’ at the time were those mischievous scamps, the Boggarts. 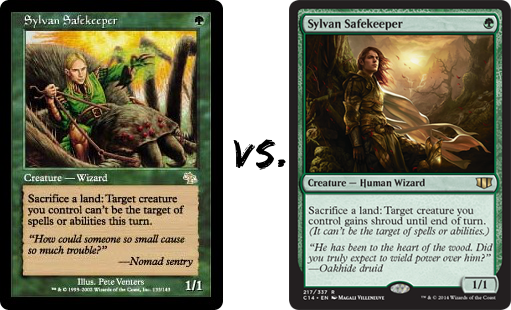 You may recall a post here at MTG Realm a year ago showing an interesting Boggart weapon - the ‘Fish Brick’ - yep - it wasn’t that complex but still rather effective on Kithkin and other targets. 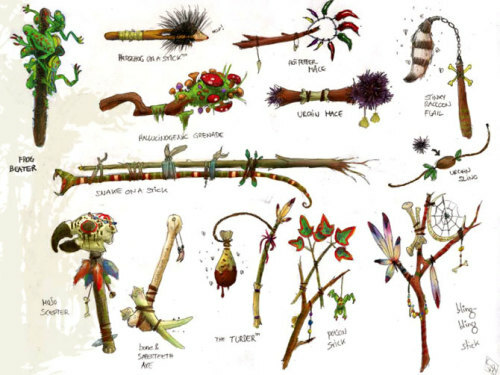 Here’s a post on other Boggart weaponry with concept art from Cyril Van Der Haegen showing other wild assault weapons such as the ‘snake on a stick’ and ‘the turder’. Best wishes for a happy and safe thanksgiving to our American cousins south of the border. 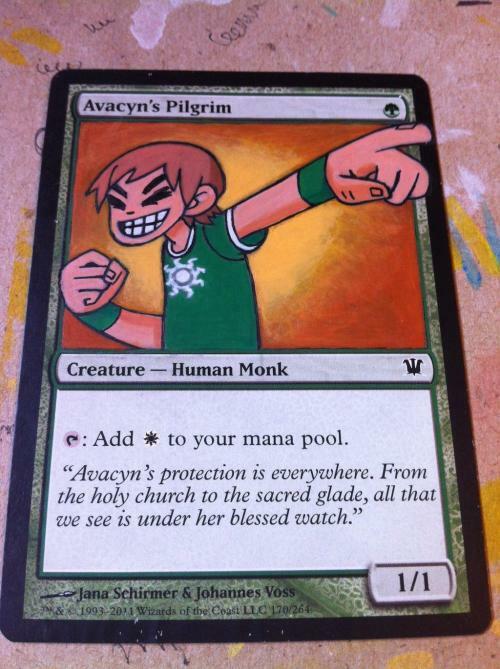 Here’s a pair of rather good and apropos card alters from @kcsnipesalters with a pilgrim theme. 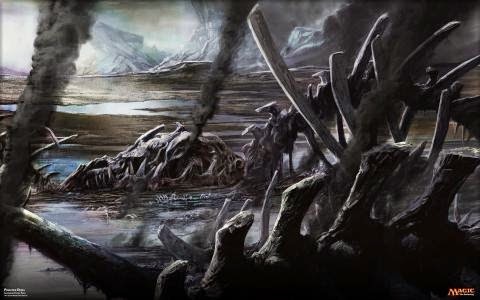 Today, we are writing up a bit of a creature spot-light focused on the mysterious Lammasu. 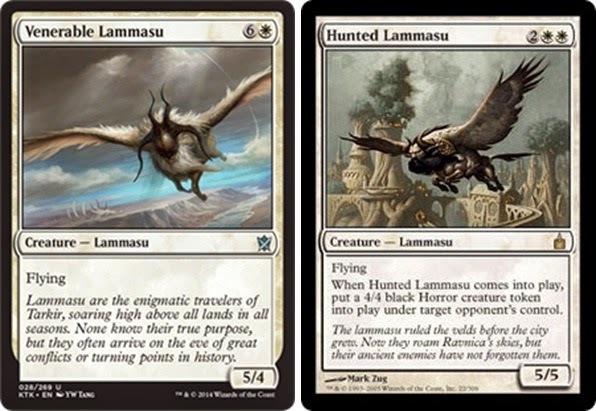 There have only been two cards ever printed with this creature subtype, and while we have Venerable Lammasu from Khans of Tarkir, we need to order Hunted Lammasu printed in Ravnica: City of Guilds from MTG Mint Card just so we can complete our Lammasu nature preserve. Anywhoos, in 'the real world', the lamassu is a celestial being from Mesopotamian mythology. Human above the waist and a bull below the waist, it also has the horns and the ears of a bull. It appears frequently in Mesopotamian art, sometimes with wings. The lamassu and shedu were household protective spirits of the common Babylonian people, becoming associated later as royal protectors, were placed as sentinels at the entrances. 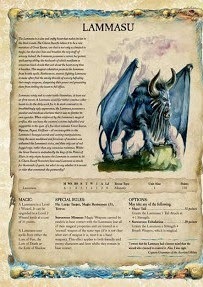 As for the world of RPG, the lammasu was introduced into Dungeons & Dragons in 1975 and appears in the first edition Monster Manual. A type of celestial, half-dragon lammasu known as a golden protector is also described in the Monster Manual. They are the offspring of a celestial lammasu and a gold dragon and live in the material plane where they combat evil. Their draconic heritage lets them breathe fire. 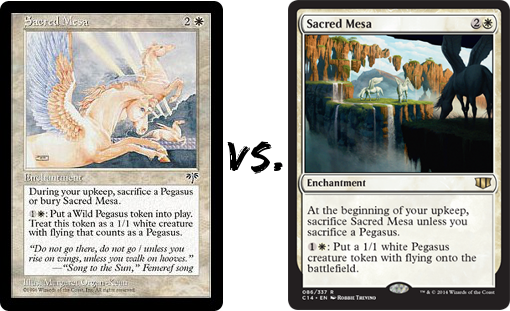 In Magic: the Gathering, the lammasu is an odd hybrid-looking creature type with the bodies of cows, a bird's wings and a human face with horns, based on the mesopotamian creatures of the same name similar in appearence. 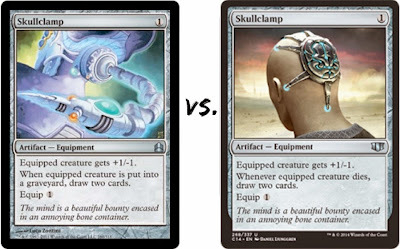 To date, only two lammasu have been printed and both have been associated with white mana. 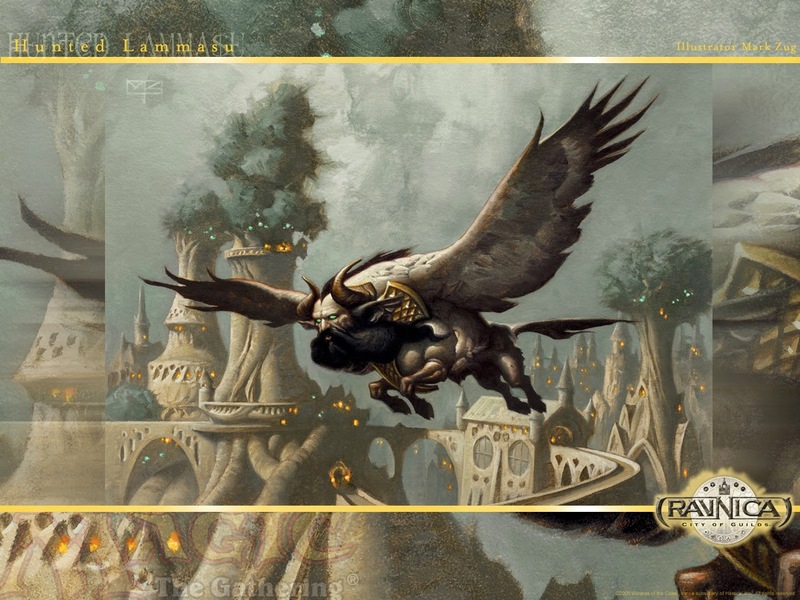 In Ravnica, lammasu are said to have once ruled the open grasslands of the plane before the arrival of the urban sprawl that is Ravnica. Only a few remain alive today, flying in its skies while being hunted by an unknown rival race. 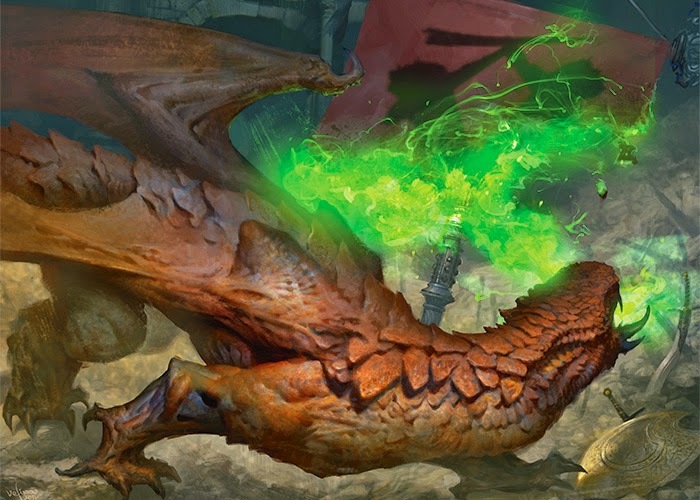 Since these are only represented by the Ravnica: City of Guilds card Hunted Lammasu, and do not feature in Return to Ravnica, it is most likely that they are completely extinct. 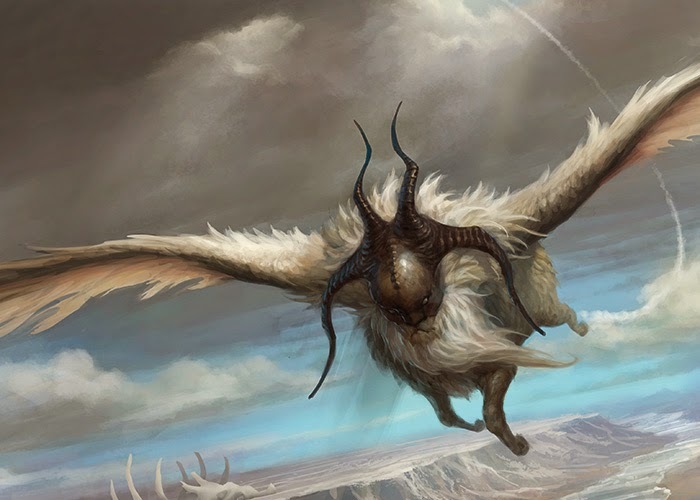 In Tarkir, the lammasu are enigmatic nomads, soaring high above the land across all seasons. None know of their true purpose, but they arrive frequently in turning points of history. 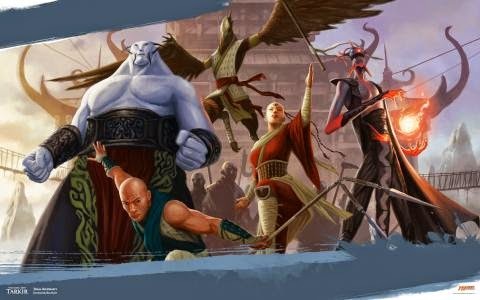 Suggested reading - pop on over to Doug Beyer's 'A Voice for Vorthos' over here. In about another 12 more days, a special Duel Decks box set, Duel Decks Anthology will be released. There is quite a bit of discussion on the Magic: the Gathering forums we regularly visit on this particular release. Before we get in to the nitty-gritty, lets get the overview again . . . 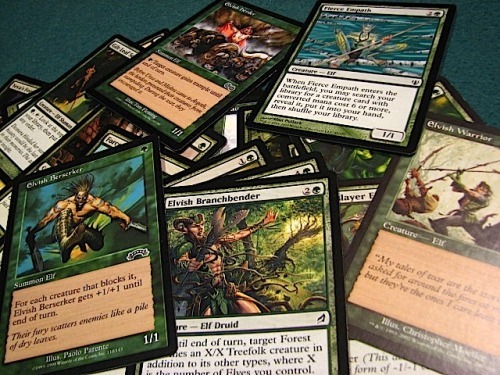 These eight ready-to-play decks are most definitely fun to play against each-other's pair and offers a lot of nostalgia but may also appeal to collectors. 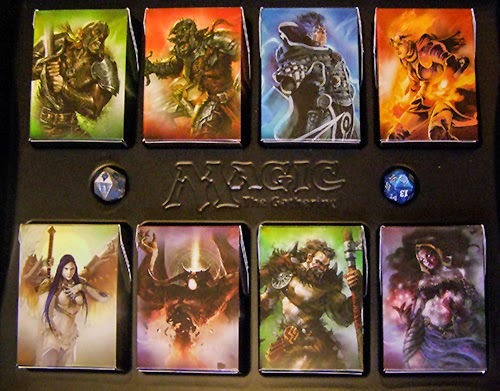 We have a number of the original (Duel Deck) cards from MTG Mint Card but unfortunately, never did purchase the product sets. We still think the price tag is reasonable but realise that most brick 'n' mortar WPN stores and online retailers will not likely offer this at the MSRP but probably around the $120 to $140 mark. 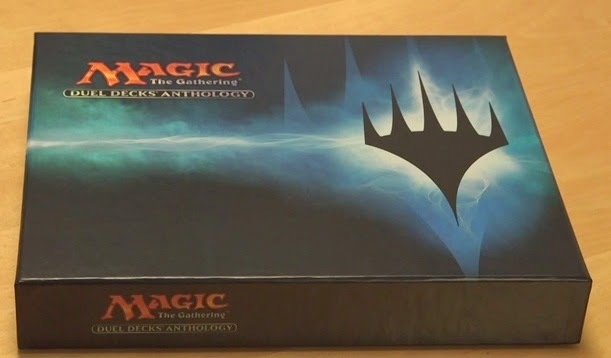 Don't expect any relief from this price at the big-box stores who do occasionally offer sealed Magic: the Gathering product near the MRSP as this product is not expected to be distributed to them. We don't care how snowy, cold, or otherwise nasty it is outside right now, we are definitely planning to get across to the other side of Barrie tonight to OMG! 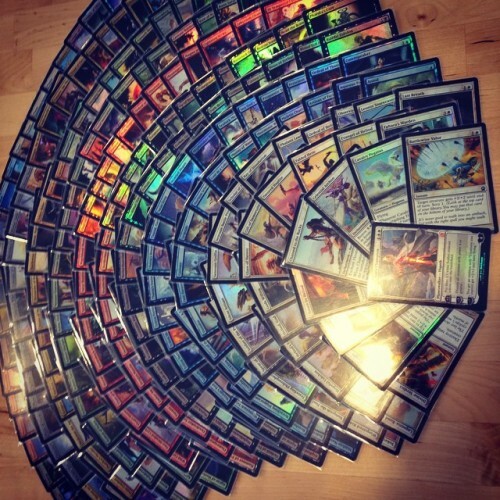 Games to get some Friday Night Magic gaming in. 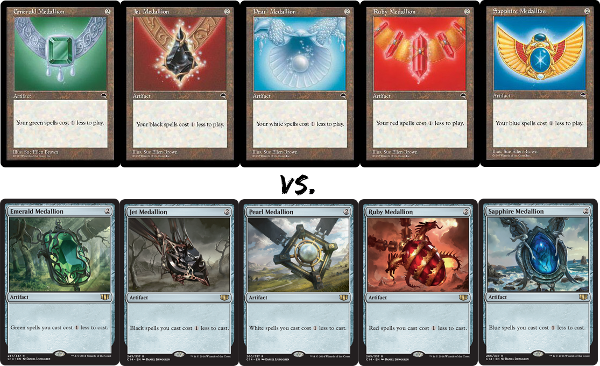 There is not to many chances left to win one of those juicy / icky Brain Maggot FNM promos and we hope to get a Top 8 under our belt tonight. 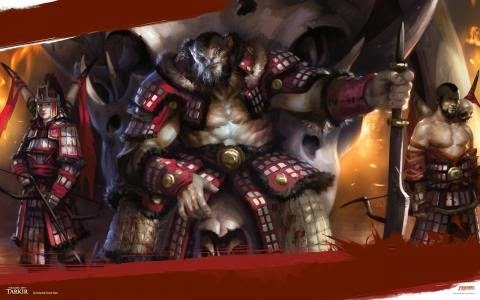 We are liking the promo card art that Velinov had provided over his earlier. As we are wrapping up the remainder of the year rather soon, we should do a re-cap of this year's FNM promo cards. 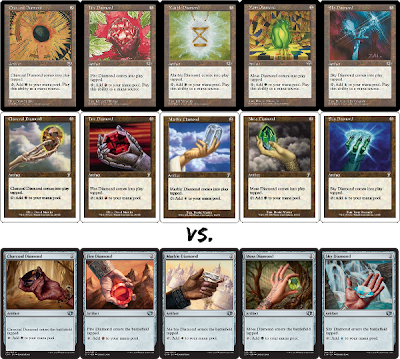 These were all very decent choices and we're more than pleased with WotC and their picks - all decent standard legal cards that see play (some more than others - Encroaching Wastes and Fanatic of Xenagos were weird but still OK). 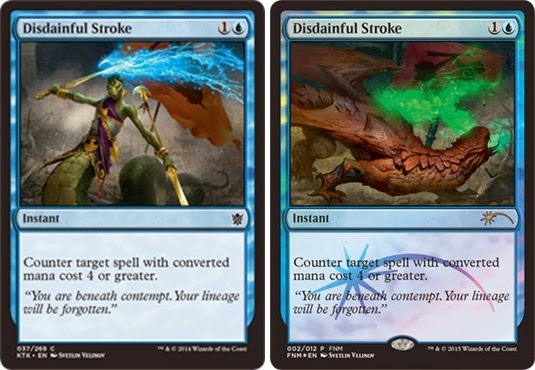 In other news, it looks like a card image of the colourless Ugin, The Spirit Dragon is circulating the interwebs. This card is expected to see print in Fate Reforged but we are of the opinion that the card is fake until additional proof is provided. Anywhoos - have a great weekend y'awll ! Like many US States around the Great Lakes, our little corner of suburban bliss in Central Ontario got one heck of a wallop of snow. Should you not have any windows in your domicile, you would still know the snow had come as would hear the endless rev of snowmobiles down the street out front of our place. 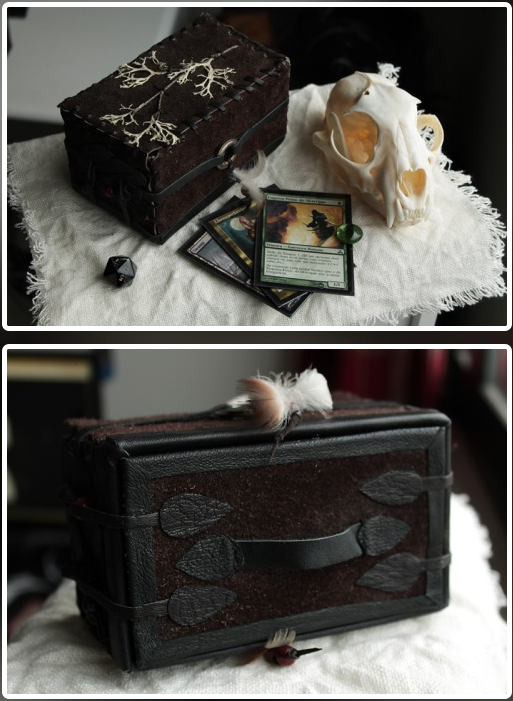 Today's a good day to stay indoors, keep warm and organise our Magic: the Gathering collection. 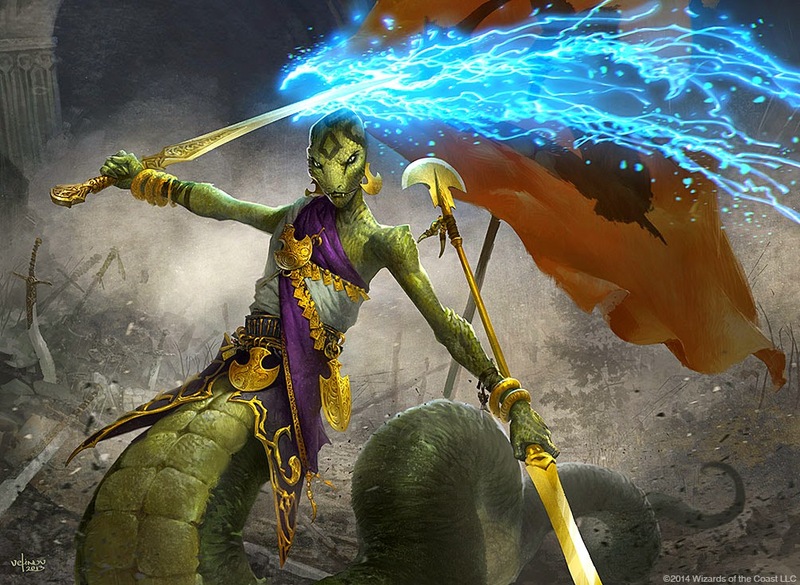 For tomorrow's we want to showcase a weird G/W 'Hardened Heroes' build we started to develop with some of our recent MTG Mint Card purchases but for today, we want to make sure everyone is caught up with the latest MTG Wallpapers that have been posted over on the mothersite - click on over there to grab these lovely illustrations / arts all available in the perfect size / resolution for your desktop, mobile device or social media page. After our last order of Magic: the Gathering singles from MTG Mint Card, we've been madly brewing a bunch of crazy new standard constructed decklists with our group. 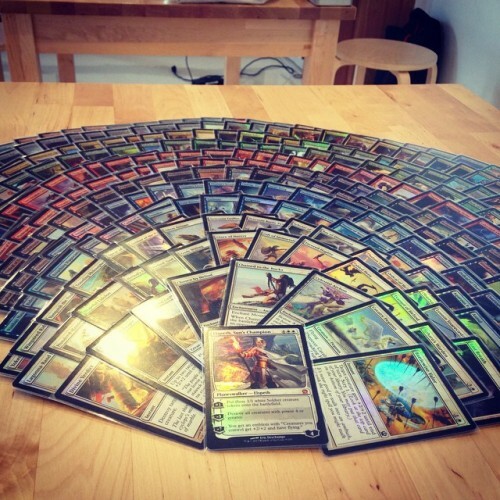 We hope to yatter later about how well some of these lists are but for now, we want to turn the MTG Realm spotlight on our new friend Renée Moura from Jyvaskyla, Finland (about 250 clicks north of Helsinki). The very talented and crafty Renée produces a number of unique & eco-friendly leather journals, pouches, accessories, necklaces and other customized items. 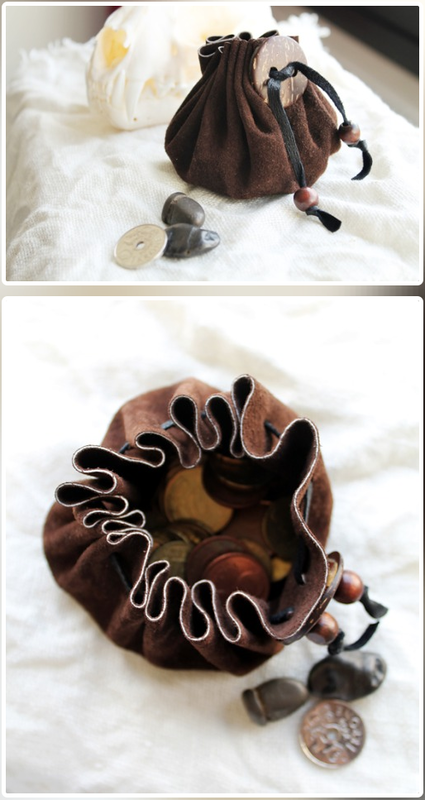 If you are a MTG player, DnD player or tabletop RPG gamer, you'll likely find a very lovely accessory for your game. Here's a short selection of beautiful items, all which we imagine has a feel of Viking / Celtic / Medieval artistry touch to them. Here's the 4.1.1. if you're thinking of a Holiday gift for that gamer in your life. 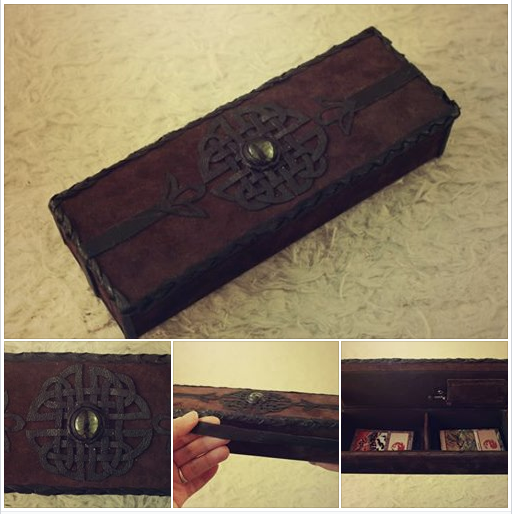 Runes, Talismans, Pouches, Journals & other handmade enchanted items. 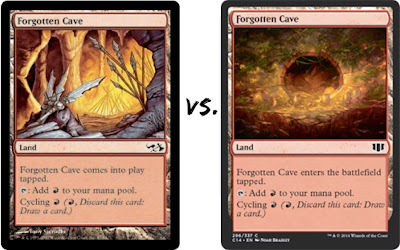 If you've been reading MTG Realm for any length of time, you will likely know that we kinda have a thingy for white weenie strategies in our Magc: the Gathering games. When Chief of the Edge and Chief of the Scale were previewed we were certainly stoked and soon after had roughed out a decklist which resembled something along the following lines . . . 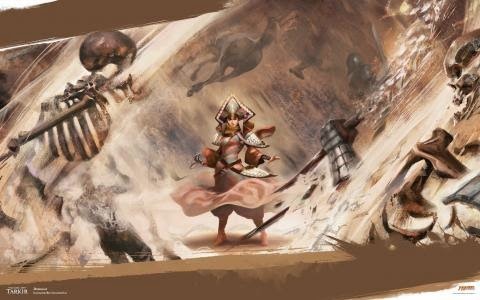 Shortly after all the Khans of Tarkir cards were previewed we were very happy to see that WotC had developed the 'Conquering Hordes' Khans of Tarkir Event Deck which sort of validated our belief that an Orzhov build relying on a warrior sub-type might just be viable enough in standard constructed. 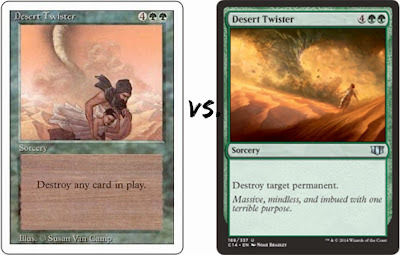 Unfortunately we had only played a single Friday Night Magic event with our Orzhov Warrior list before becoming hopelessly infatuated with an Abzan Midrange decklist and a Mardu Midrange decklist (after our MTG Mint Card pre-orders had come in) which we essentially played ever since. Today, we wanted to revist our earlier list and re-evaluate it. Bloodsoaked is still great with its ability to drag it back from the graveyard. Mardu Hateblade is still fine with us - an early drop with activated deathtouch certainly makes opponents hesitate to swing in. God's willing is good protection - dang we're still sore that Brave the Elements has rotated out of standard. We still are satisfied that by playing only two colors, we have decent odds to reliably cast the multicolour Chief of the Edge and Chief of the Scale on the second turn, so we won't change that at all. 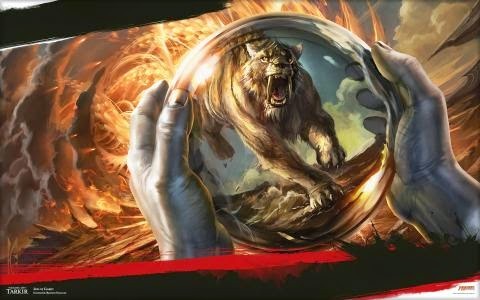 The four 'Feats' may be a bit over the top and we could likely do better with either removal or disruptions such as Mardu Skullhunter instead. Our personal 'signature' card is Cav Peg - we'll always play this in a build that features mostly humans. Just occupied by Mardu Hordechief - yet another Chief. 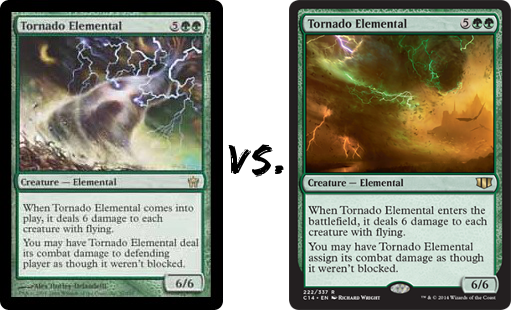 The 'Raid' tech is solid and you'll almost always get the token out of it which makes the stats here acceptable (three mana for a total of three power and four toughness). 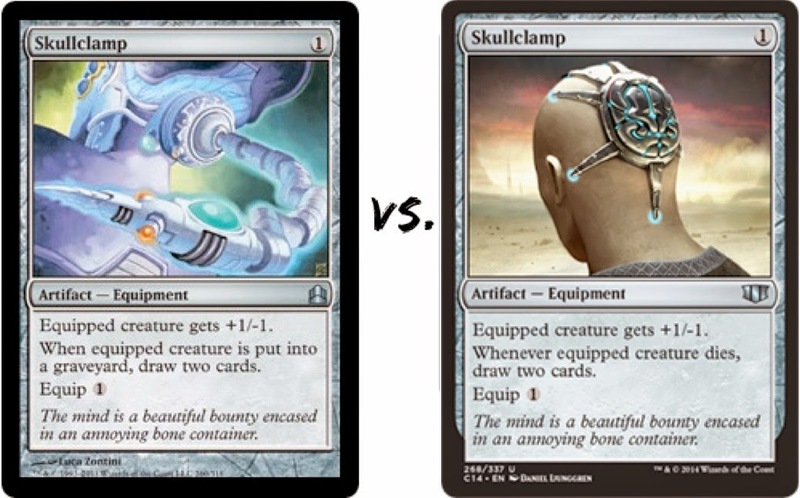 Raiders Spoils is OK but we're now not entirely sold sure there is an unconditional pump of +1/+0 with a conditional card draw, but we may be better served. 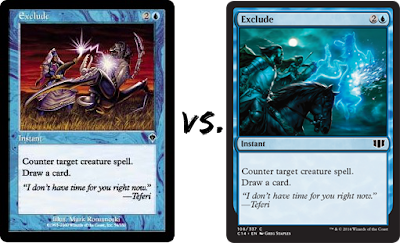 Timely Hordemate is another solid 'Raid' card getting one of you 2CMC dudes back from the yard to the battlefield. One of our fav cards in the build is Rush of Battle which, in a warrior build, provides a lovely +2/+1 blanket pump with lifelink. • Athreos, God of Passage - This is a very viable option to drain your opponent's life or alternatively keep your hand full of options. • Mogis's Marauder - This may be the closest thing we have to our beloved Brave the Elements. 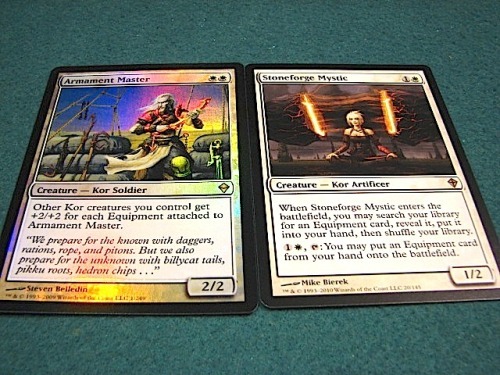 • Sorin, Solemn Vistor - decent 'Walker in our colours. • Permanent Pump - such as Spear of Heliod, Hall of Heroes, or Obelisk of Urd. 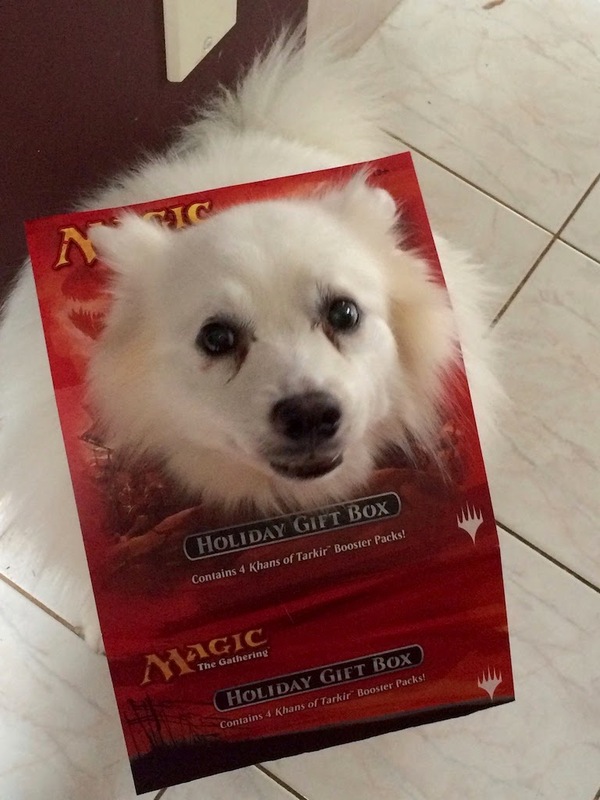 We were able to get out to Friday Night Magic last evening to our local gaming store, OMG! Games despite the nasty arctic-like meteorological conditions. There was however only about half the number of players unfortunately. 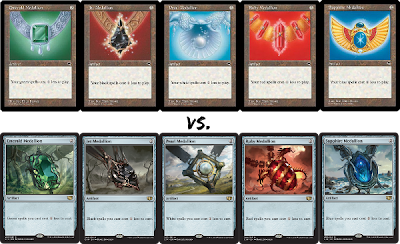 We brought along a Mardu midrange decklist and failed quite miserably - which is OK as we love deck-brewing just as much as playing. Winter has finally arrived at our little corner of the county. Just yesterday we raked a bunch of leaves and retired the day with still green lawns. 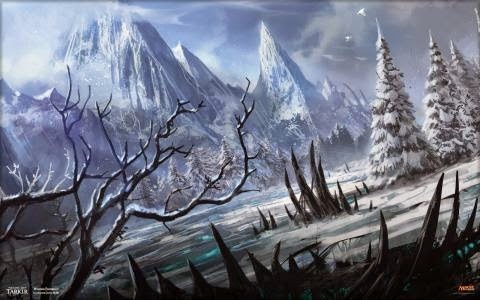 Today however, we woke up to an accumulation of nearly six inches of that white frozen cr@p. We are hoping to get to our local gaming shop, OMG! Games here in Barrie, Ontario latter this evening for Friday Night Magic but if it does not stop snowing, it may be too dicey on the roads. 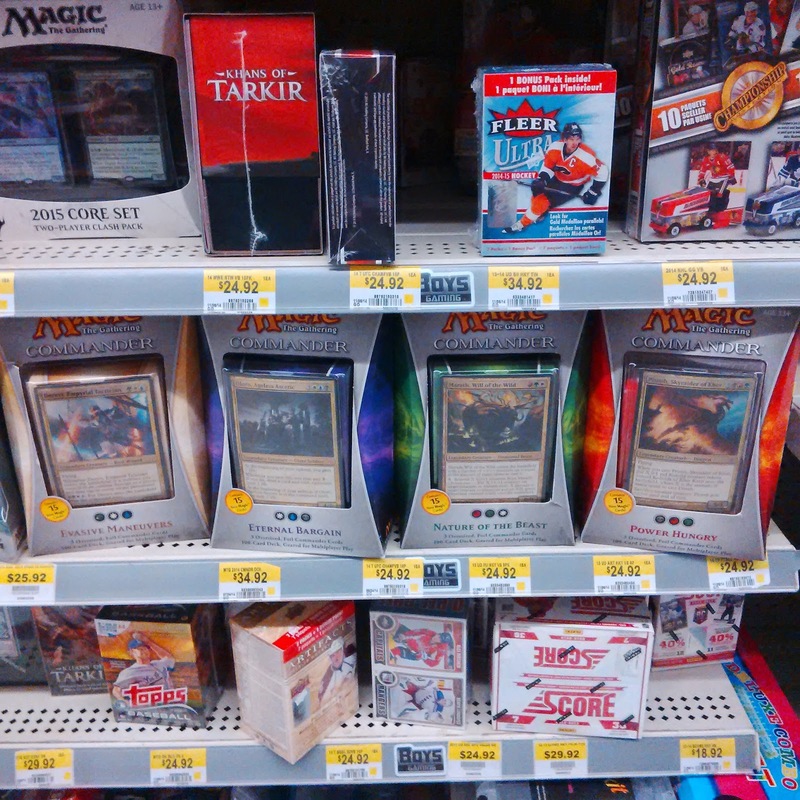 Anywhoos - for today's post we wanted to yatter a bit about those big box stores and our favourite game, Magic: the Gathering. 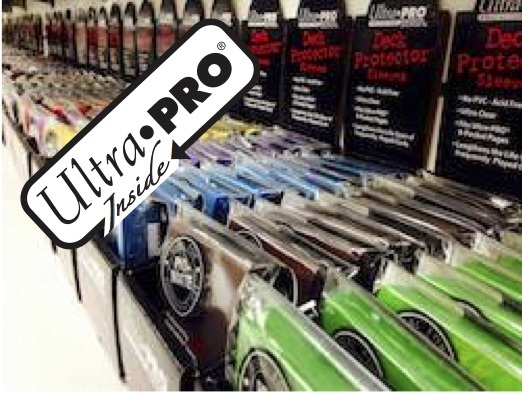 We are fiercely loyal to our local card shop for all our sealed product and when we are looking for a single we can't seem to catch at the store or through trades, we rely upon MTG Mint Card who have always come through in our hour of need. Supporting your LGS / WPN is critical because without them, there is simply no game in town (except your own kitchen table group). 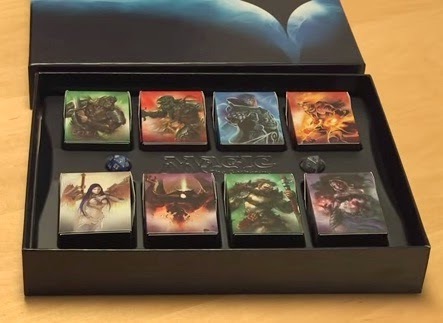 Having said that, we personally know quite a few people in the States and Canada who simply do not have access to a LGS and have to rely upon those big box stores. Today, we did an brief 'moment in time' survey on the two large giants Target and WalMart in our City. The prices and observations may not be at all accurate but represent our own opinions formed at the stores. Our biggest grief was that sometimes you just could not determine the product price without having to walk it over to a scanner. Poor selection, disorganised but reasonable pricing. Good selection, a little disorganised and comparable pricing to that of the 'other store'. At the time of our visit, we were mildly surprised that both stores still had 'older' product. 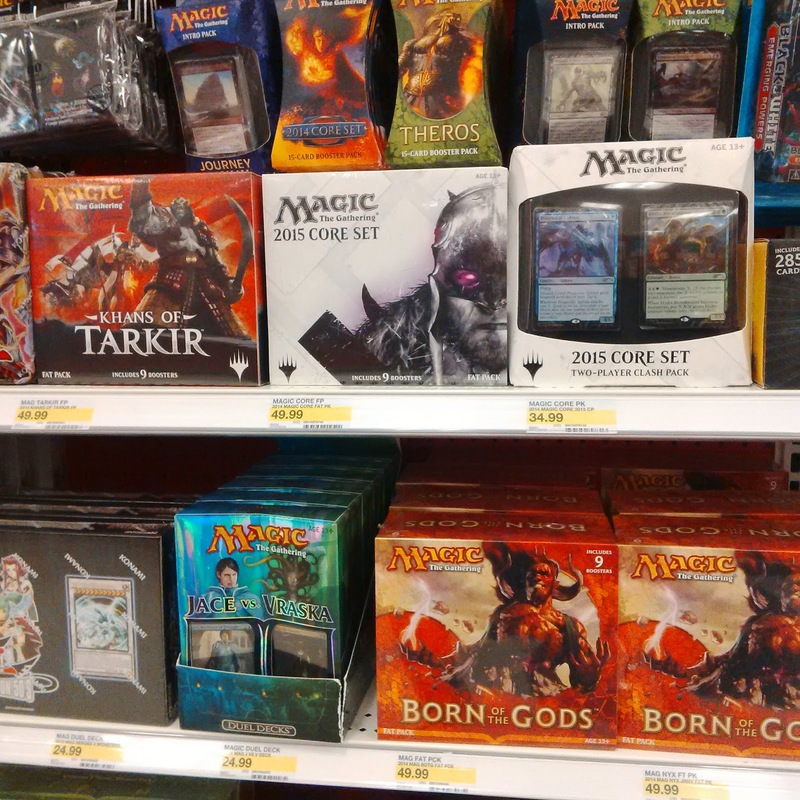 Unfortunately neither store had the new Commander 2014 product available even though it had been out for approximately two weeks. 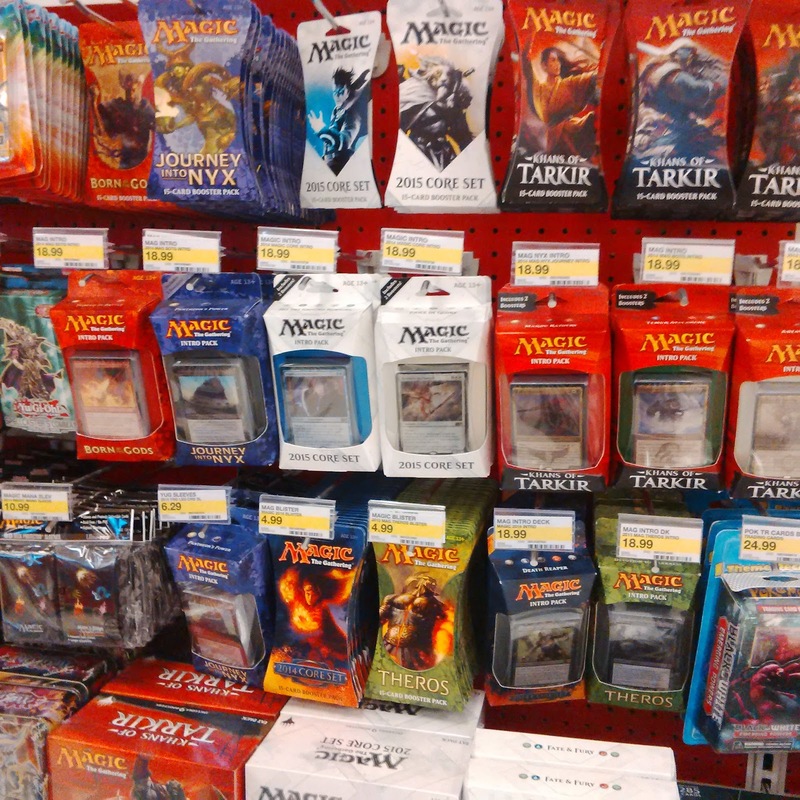 In the past, we were happy with Walmart in that they carried 'non-game' MTG related items like officially sanctioned t-shirts and those stickers. If you were looking for supplies, both options had rather slim pickings. 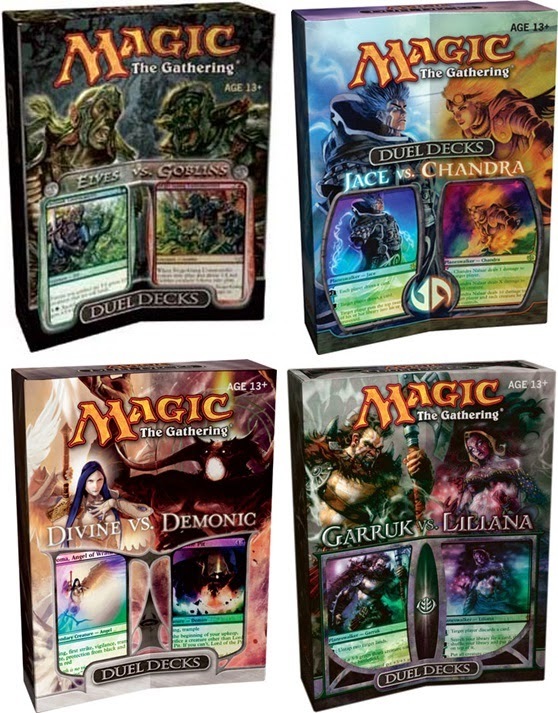 Magic: the Gathering players love getting new cards and here at MTG Realm, we had ordered a bunch of Commander 2014 singles from MTG Mint Card even though we actually owned a one or two of the reprints. Why? - because we also love getting updated card illustrations. 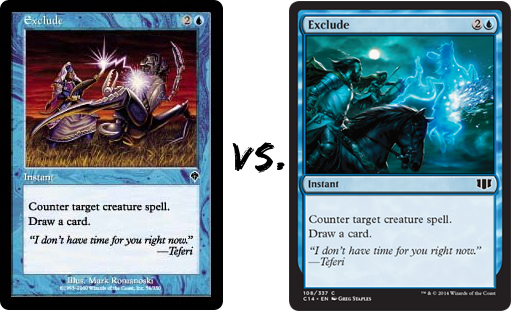 You may recall from previous posts that we'll sometimes play a card with an epic art even though the spell itself might be janky. 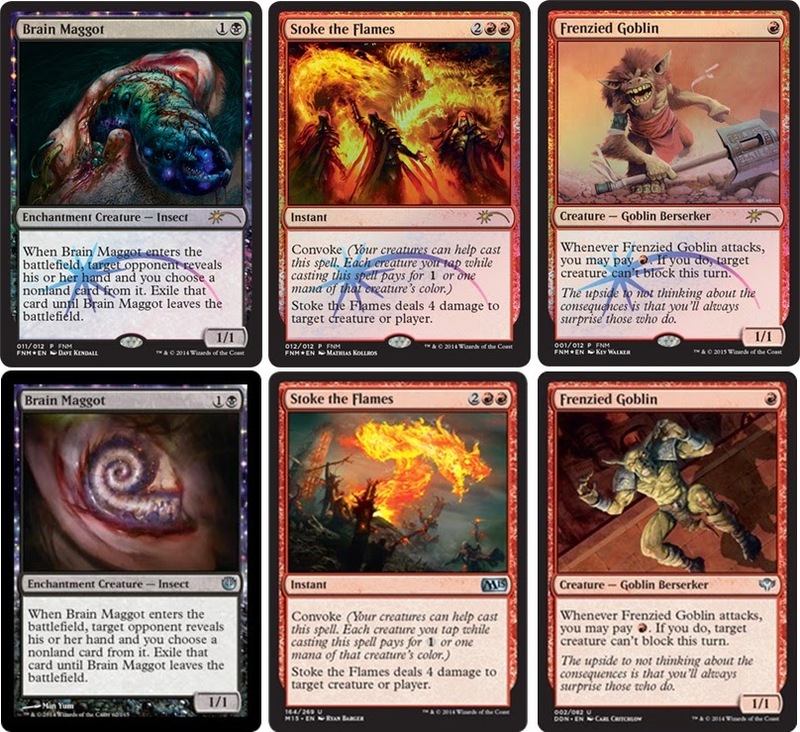 Well all the Commander 2014 cards granted new illustrations are far from janky and they all have absolutely lovely art. Here's the breakdown with some images borrowed from 'Original Magic Art', who has a great poll to register your personal proclivity for the classic art or new hotness.